If you live locally you're welcome to check out books whenever you'd like! If you don't live locally, you can still search our catalog for eBooks, and make sure you go to your local public library and ask about their interlibrary loan program. They should be able to borrow books you need from other libraries! Use our brand new @LL Search! It searches almost everything @ the Lesley Libraries, like books, journal articles, and streaming video! We're still customizing it, so you can't limit to just one Lesley Library yet, or one Lesley collection. For that, you can still use our classic catalog (scroll down). 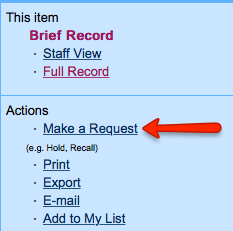 Request items via interlibrary loan for delivery to AIB or Lesley Sherrill Libraries. 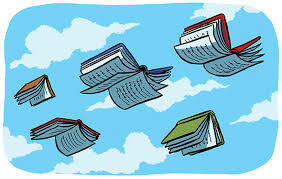 (If you searching on the campus network, there is a direct link to the interlibrary loan service from within Worldcat). When you use the Fenway Libraries Online (FLO) catalog, it searches lots of libraries, not just the 2 Lesley libraries (Moriarty and Sherrill)! You can visit the other libraries (just bring your Lesley ID) or request that a book be shipped here for you to pick up! Holds take a few days, so make sure you plan ahead! You can put a book from Sherrill on hold to be picked up in Moriarty but it's still going to take a few days (it gets delivered to Boston, sorted, then sent back out to us), so it's more timely to go over and grab it yourself. 3) Before you submit your request you would set the pick-up location to Moriarty or Sherrill.